Choosing the best home care provider in your area to fit your loved one’s care needs is an important process that can present some challenges. Fortunately, there are a number of things to look for in a home care agency to ensure the safety and happiness of your loved one. By choosing a provider that uses top of the line home care software like ClearCare Online, you can rest assured that your loved one’s care services are accountable and transparent. As you look for distinguishing factors in home care agencies, make it a point to ask how they manage care and ensure that each client is receiving quality services in a timely manner. Caregiver accountability is made easy for an agency using home care systems with telephony systems and two-way messaging. Home care software like ClearCare Online requires caregivers to clock in and out from the care recipient’s home phone number which ensures accountable, quality care. In addition, home care software with robust alerts and messaging functionality allows for both caregivers and office administrators to be notified via email and text message if someone has missed their clock in, so that they can address the situation immediately. 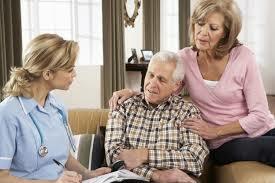 With this high level of accountability you can be sure your loved one is not left without care! Yet another thing to ask about when selecting a home care provider is about family member access. Home care systems that offer login access for family members and other related parties to a private portal allows you to have real time access into the home of your loved ones. Agencies using home care software like ClearCare Online have care logs with real-time updates from caregivers about their shift including recorded voice memos available online via secure logins. Home care systems with family member access allow all relatives, practitioners and friends to keep an eye on their loved one’s daily care from anywhere in the world with internet access. As you make the search for home care services, make sure that the provider you choose offers robust home care software with advanced telephony and messaging features as well as real-time transparency into the home for family members who cannot physically be there.